So You Found Something on the Web: Should You Use It or Lose It? The transcript of each video is available below the video. If you have any difficulty with these videos, PowerPoint files or if you require a different file format, please do not hesitate to contact us - library@georgiancollege.ca for assistance. It's important to choose resources wisely. You want to make the most of your time by selecting resources that match your assignment requirements and that are reliable sources. Don't just take the first item in the list. 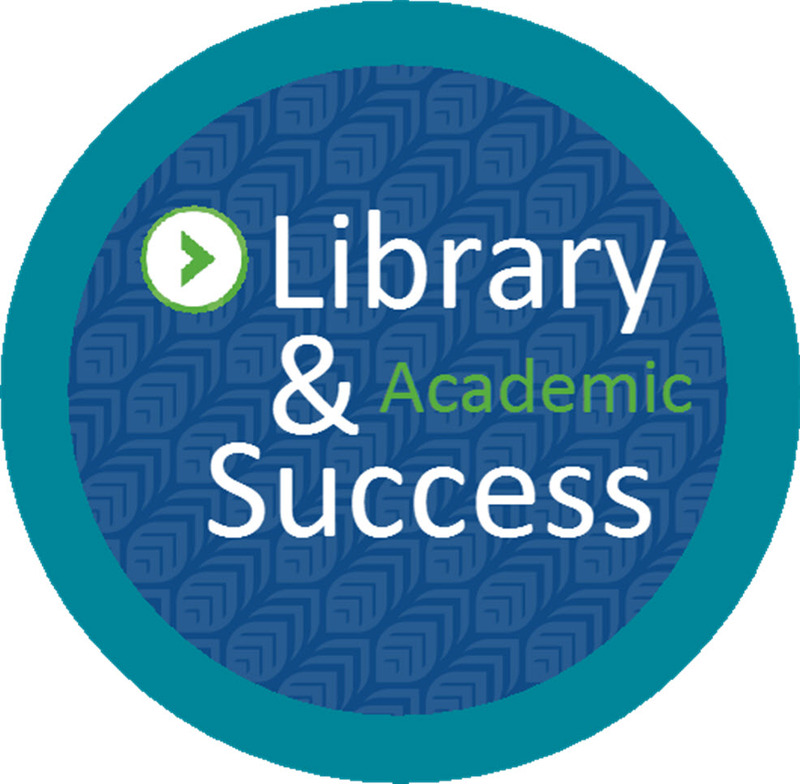 Watch these short videos to learn how to evaluate resources you find in the library's databases and on the web. This video shows you how to search for scholarly (peer-reviewed) articles, evaluate your search results, and locate the information required for referencing an article. Once you have your search results, you need to evaluate them so that you can choose the best resources for your topic and your specific assignment. You should start by carefully reviewing your assignment to make sure that you understand the requirements. Does your assignment specify a resource type that you need to use, such as books, videos, or articles? Does it tell you a minimum number of resources that you must use? Does it specify a date range for the resources, for example articles published in the last five years? Do the resources have to be certain length, such as more than five pages or fewer than ten pages? In addition to looking at your assignment, you also need to consider your specific topic and how it may affect your selection of resources. For example, does it make sense for you to choose resources that were published very recently, or would it be better to use resources from a specific time in the past? If you were researching recent developments in the law, you would want the most up-to-date information. If you were looking at how attitudes toward mental health have changed over the last twenty years, you would probably want to review resources published in the past as well as recent publications. Let’s look at a process that you can use when you’re reviewing your list of search results for potentially helpful resources. Step one is to review the titles and the subjects of items in your search results list, looking for the keywords that you searched. They will be in bold type. Resources that have your keywords in their title and subjects may be more relevant to your topic. You should also check whether the items in your results list meet your assignment requirements, such as resource type, length, and date. Step two is clicking on the title of a relevant item in order to read more details about it. Different details will be available depending on the resource type you are looking at. An article may have an abstract, which is a summary of the main points of the article, while a book or video may have a table of contents or a description. If the chosen item passes both step one and step two, you should proceed to read the complete item with your research question and assignment in mind. And if you use the item for your assignment, remember to include it in your reference list. This video teaches how to evaluate a resource for your assignment. Once you have determined that a resource may be helpful because it relates to your topic and meets your assignment’s requirements for length, resource type, and so on, you need to dig deeper and evaluate the actual content of the resource. You want to use high-quality information because excellent resources lead to better assignments. Here are some questions to consider when determining the quality of a resource, whether it’s an article, a book, a video, a web resource, or any electronic equivalent. Look at the authors. Does their educational background fit the subject area of the resource? Are they qualified to write in this field? For example, doctors and nurses are qualified to publish in medical or nursing journals, while others may not be. Look at the publisher. An authoritative or respected publisher is often referred to as academic or scholarly. This shows a level of confidence in their published information, study results, and data. Books, journals, and web resources may be published by an academic institution such as the University of Toronto, or by a well-known academic publisher like Sage. Some journals contain peer-reviewed articles. That means that they have undergone a rigorous scholarly review process prior to publication. Look at the intended audience for the resource. For whom has it been written? Is it written for the general public, for a professional in the field, or for an academic researcher? Clues can be found in the language used: Is it conversational or is it technical? Is the language specific to a field or discipline? Consider why something has been published. Has it been written to inform or to entertain a wide audience? Has it been written by professionals in a field for those working in the field? For example, has it been written for people working in graphic design, the golf industry, computer programming, the tourism industry, or early childhood education? Has it been written to present research in an academic context? Consider the question of bias. Every article is written from the author’s point of view. You should be able to tell if the information is based mainly on the author’s opinion or if it’s based on facts or research. Is the author fairly presenting both sides of an argument or promoting only one side of the discussion? Is he or she showing prejudice against an idea or group? It’s important that you use multiple resources that provide a balanced and well-supported foundation for your topic. Considering all of these questions while gathering your resources will help to ensure that you produce a high-quality result. Source: © Common Craft, 2018. You probably know someone who is a big sports fan. Win or lose, their team is the best and they love to let others know. In sports, we expect people to be biased for their own team. Their goal isn’t fairness and it’s obvious. They wear their bias on their sleeve, or even their face on occasion. And just like people root for sports teams, they also root for ideas, laws, products, research, politicians and more. People often write articles, make videos and do interviews that are biased. They are designed to promote their team’s side of the story. And that’s fine. Bias can rally a team and win debates for the greater good. The problem is that bias is often hidden. What might appear to be neutral, fair information can be biased. For example, to understand the current state of climate change you can’t depend on one team’s biased perspective. You need information that is neutral, fair and unbiased. The same is true for important decisions in science, education, government and more. Unbiased information is essential. The problem is that it can be hard to see whether the goal of an article, for instance, is to be fair, or to root for their team. The best you can do is learn to detect bias. Imagine reading an article and asking yourself: Who is the author and what is their motivation? Do they earn money or benefit by promoting one idea over another? If so, the article may be biased. Does the author provide only one way to think about a subject? Do they ignore key information or perspectives that don’t fit their own? If so, they may be biased. Are sources cited in the article? Who or what are they and what role do they play? If the sources are biased, there may be misinformation and the article itself may be biased. Does the article use insulting language or buzzwords? Does it use examples that appeal to only one side of a story? If so, the article may be biased. It’s important to note that bias isn’t always bad, and can be helpful. The key is learning to recognize the author’s bias and evaluating the information with that bias in mind. This way, you can choose the best sources for your needs. This video teaches how to evaluate a web resource. When you’re evaluating web content, you ask many of the same questions as you do with other types of resources. Who created or published it and what expertise do they have in the subject? When was the content created? What is the focus of the content and the intended audience? Look at the creator or publisher. With a web resource the creator may be an individual, organization, association, corporation, or government department. What qualifies them to publish in this field? Look for contact information, an “about us” page, or an author biography or educational qualifications to determine the expertise of the creator or publisher. Can you find this information? If not, you may want to reconsider using the resource. Consider YouTube. The person who uploaded a video may not be the creator or copyright holder of the content. The same is true for sites like Reddit, Twitter, Instagram, and Facebook. The poster is often not the creator of the content. You have to determine the original creator and copyright holder in order to cite the content properly. Consider wikis such as Wikipedia. They allow collaborative publishing and editing of content. It may not be possible to identify the original creator or editors. Sometimes the content added to an entry is deliberately biased or inaccurate. Wiki content is also likely to change because it can be edited or updated at any time. Try to determine when the information that you’re looking at was written, published, or updated. This date may be different from the date when the website was created or updated. Even new websites can have older content. It’s up to you to determine if that content is still valid. Identify the intent of the content. Does the creator have an obvious bias or are both sides of the question considered? Is the content based on facts or opinion? How are the conclusions supported? Is there any evidence provided, such as references to other research or links to other credible sources? Do other websites link to the one you’re evaluating? Is the intent of the content to advertise, persuade, or inform? It’s important that the web content you use is appropriate for your assignment, so consider these points carefully. You can find other clues in the way the website is presented. A well-designed and maintained website may be an indicator of credible content. Look for appropriate graphics, advertising, and high-quality images. The website should not have dead links, spelling or grammar errors, or typos. Sites translated into English may be an exception – consider the website’s language and country of origin. Also be aware that some sites are developed specifically as fakes or may feature humourous or satirical content. It’s important to verify content that you find on the web by consulting other sources, both on and off the web. If you’ve considered all of these questions, you’ve completed a thorough evaluation and can make an informed decision about including the website as a source in your research. This video examines some of the best types of web resources you can use for your assignment. You can find lots of research-related material on the web. Information is added to and subtracted from the web every day, so it’s important to know the best types of web content for college-level research. Let’s look at some categories of web resources that can often provide reliable information for your assignments. Blog posts may be written by individuals or companies. They need to be reviewed carefully for bias. Blogs have typically been non-academic content but some scholars are now using them as a platform for publishing. Just make sure that you review the content carefully and ensure that it’s appropriate for your research. Departments and agencies at the municipal, provincial, federal, and international levels of government use the web to communicate research and policies, which can be excellent resources. Often this is also the best place to find population-specific or geographically specific data. Data sets can be found on many websites. Examine them for bias and determine where the data originally came from. Data sets may be broad or local in scope. Examples include Geographic Information Systems (GIS) data sets, international travel data, or attendance numbers for local events. Company websites have a known bias but may give access to reports that may not be available on other platforms. You can also access news releases, contact information, advertising, and product and service information. Organizations, institutions, and professional associations are often large and well-organized. They have a known bias but can be great sources. They are excellent at communicating professional standards and practices. They may also have job boards specific to a field. Membership may be required in order to access all of their web material. “Open access” content is available to everyone and is typically copyright cleared for use. The information may or may not be academic. It may be found on sites like Internet Archives, Creative Commons, or discipline-specific sites. Directories of some open access content can also be found. Social media platforms like YouTube, Twitter, Facebook, and Pinterest are not academic sources. However, they may point you toward an academic source or indicate a trend. Having a good search technique is essential to locating web material efficiently and effectively. You may want to get familiar with one or two search engines and learn their tips and tricks. Google is the most widely used search engine and its Google Scholar platform can help you locate academic resources. But be warned: Google Scholar may ask you to pay for access to resources. The library may have those resources already in its collection, free for you to use. Google is not the only search engine, and others may work better depending on your specific needs. You can use web resources when it’s appropriate for your research and assignments. Just make sure that you seek out high quality information and have a specific search goal in mind. chat loading... if this message persists, please try reloading your page.